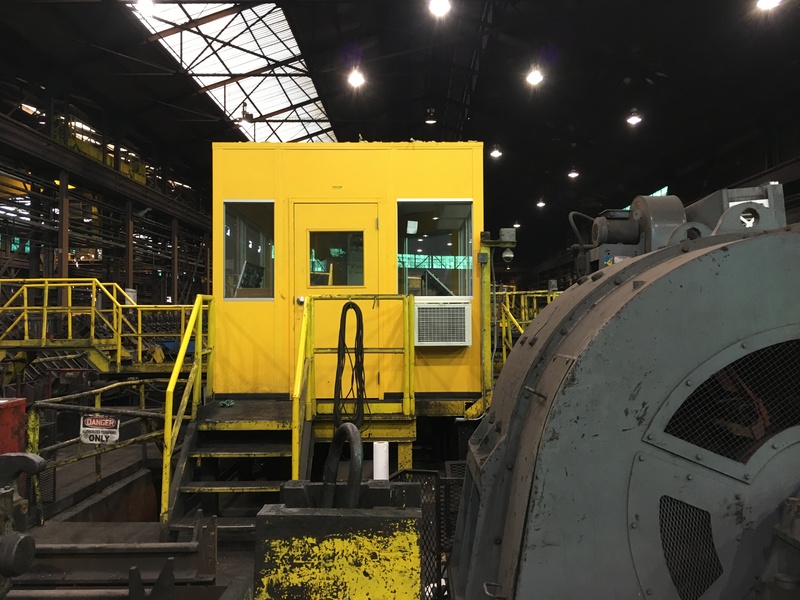 Many of the in-plant offices we provide customers are located around the perimeter of their building, and we are often asked about the possibility of utilizing the existing wall. Depending on the site conditions, a two or three wall system could offer a significant cost savings versus a typical four wall in-plant office. 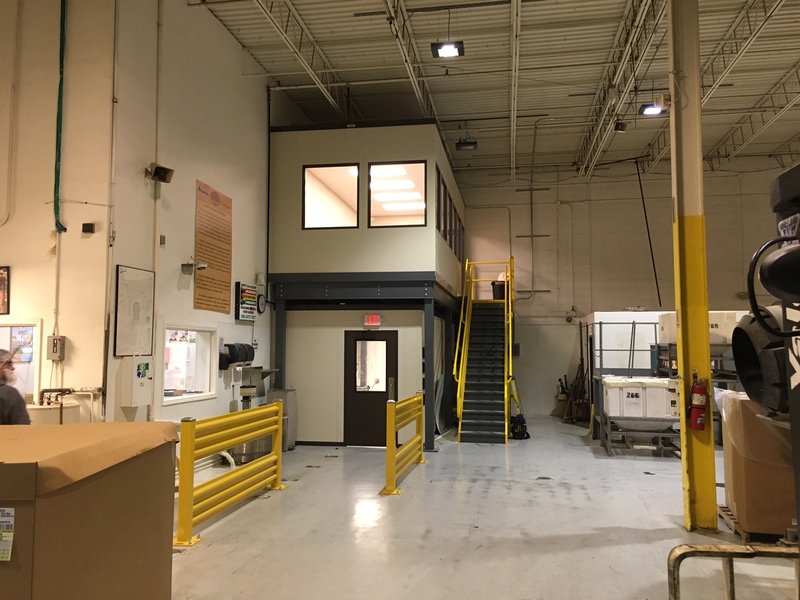 Today, I’d like to talk a little about how an in-plant office can utilize your existing building walls and some of the factors to consider if a two or three wall modular building system is a good fit for your space. One thing to consider when thinking about designing a two or three wall in-plant office is what kind of walls are in place. If we are going to utilize your existing walls, we are going to need to tie into them in a couple different places. 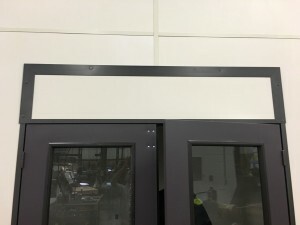 We will need to attach a piece of channel called a wall start from the floor to the top of the panel, wherever the panel would connect to the building wall. 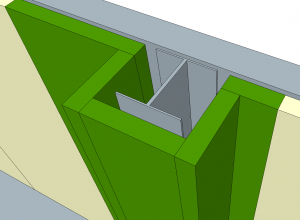 As we typically use a corrugated roof deck to form the membrane that holds the building together, we will also need to attach an angle along the enclosed length of the wall at the panel height. Because of this, the walls need to be substantial enough to be tied into. Block, stud and gypsum, or concrete walls are great. Steel skinned buildings are not. The wall should also be even across the locations where the building would tie in. If there’s a significant gap, such as in some brick walls, you’ll need to add some flashing to seal off the gaps into the building. In some buildings there has been a wall built in front of the steel skin wall. Remember to make sure the height of the front wall is taller than the height of the building panels. 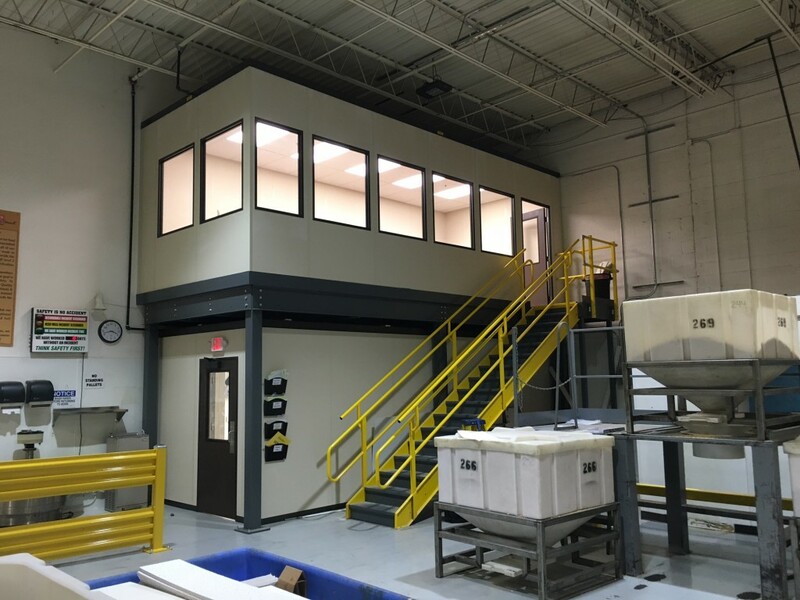 Recently, we have done a number of mezzanine supported in-plant offices along the perimeters of the customers’ buildings, and are often asked if we could utilize the existing building walls. The issue here, though, is that even though you might not realize it, there is some movement on the platform different from the existing building wall. These forces would weaken the structural integrity of the building system. At the ground level below the mezzanine, we can potentially utilize the existing building walls, but we would need to go with a four wall system on top of the platform. 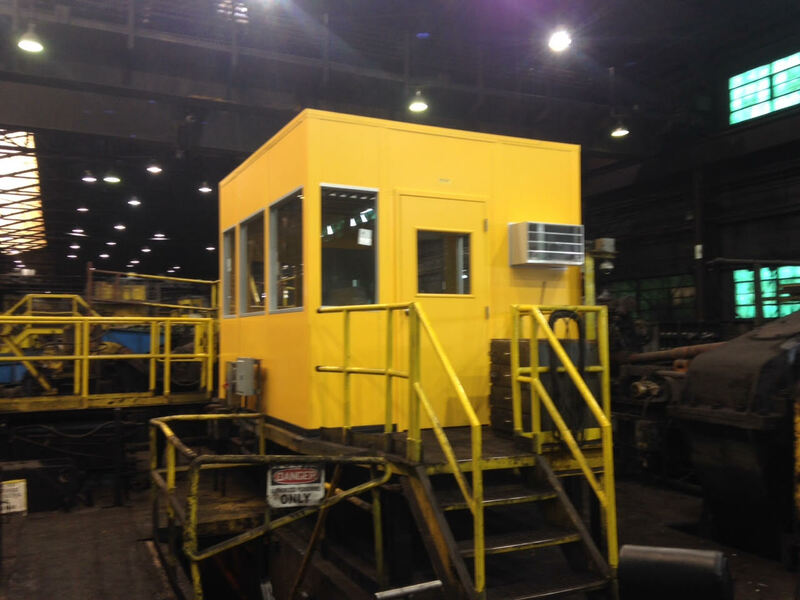 This two wall modular building system allowed our customer to separate production from the employee entrance. 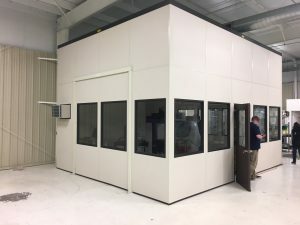 A two wall modular building system offers a number of advantages, such as the ability to utilize existing windows/wiring, as well as a cost savings from using fewer materials and labor. 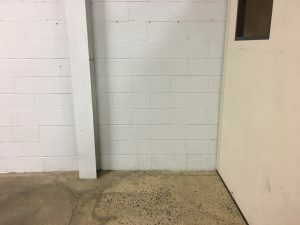 If you are looking at putting in some in-plant offices, it might be worth your while to consider going with a two or three wall building system. 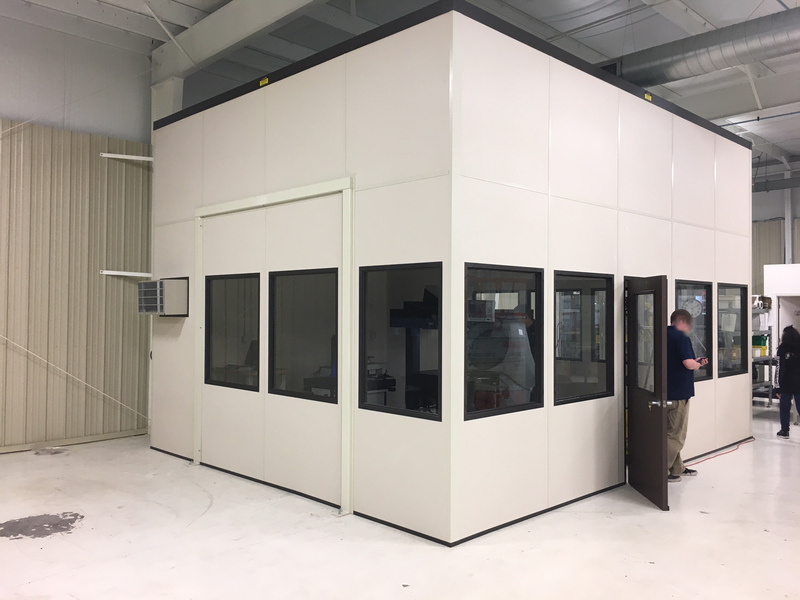 This entry was posted in acoustic control, clean rooms, Elevated structure, modular enclosures and tagged in-plant offices, modular buildings, modular enclosure, modular offices, panelized buildings, three wall systems, two wall systems on March 20, 2017 by Derick. 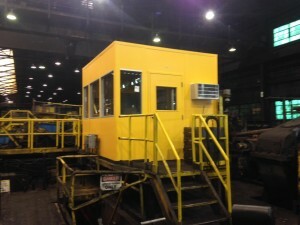 The shiny new control room made using modular building materials. 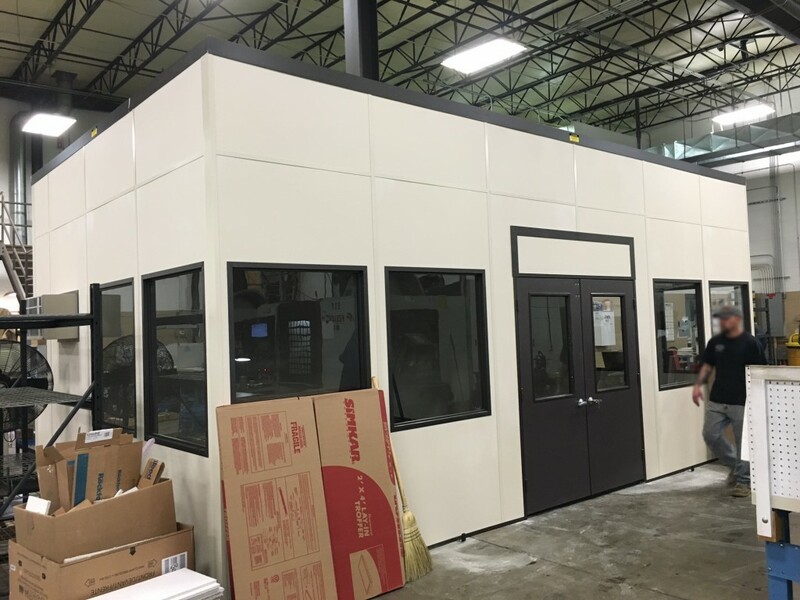 We recently received some photos back of a modular building we provided a customer that I thought would be nice to share with you. The customer has a steel plant here in Ohio, and was looking to replace and expand upon an existing steel constructed control room pulpit on their mill floor. The irregular shaped control panel dictated the pentagonal shape of the building. 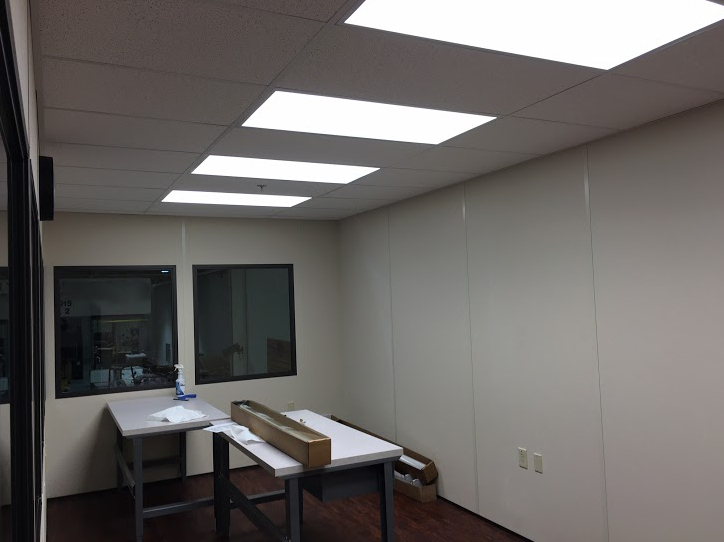 The new control room was roughly 10’ long x 11’ wide x 9’ high, but due to the shape of one of their existing control panels, the room needed to be pentagonal with a diagonal wall. The wall panels were made of 24 ga painted steel with a 3” thick polystyrene core. The customer wanted the building to stand out and requested we paint everything safety yellow. 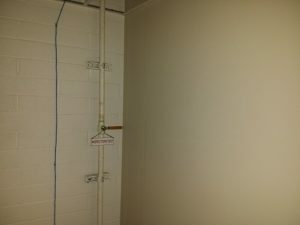 For this project we used a more traditional progressive building system where the wall panels were separated by wiring chases as opposed to our non-progressive A-wall system. 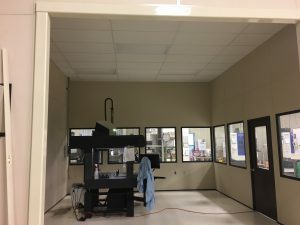 While this system does not offer the uniform sound barrier that the A-wall system offers and has more pieces required to install, it did offer them some advantages. Due to the overall design of this project, it was less expensive for the customer. If something were to happen to one of the panels that would require it to be replaced, they would not need to disassemble as much to replace it as the progressive system allows them to remove an individual panel without needing to start at the corner. 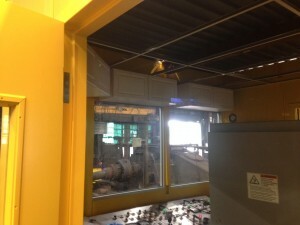 The customer also has several other control rooms in their facility of this same design. They’re very pleased with them and wanted to maintain compatibility through their plant. 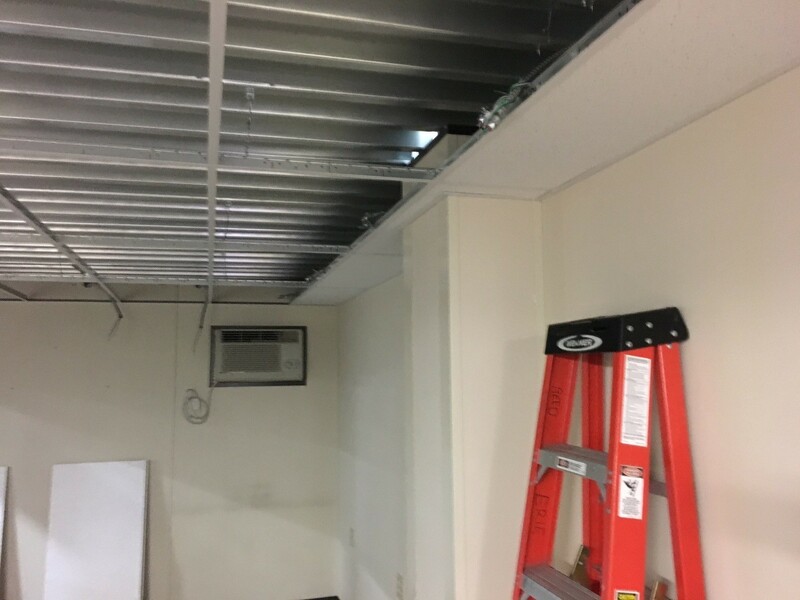 With the control room ready for electrical installation, you can clearly see the beam used in the ceiling plenum to provide the customer with a 25 PSF “walking load” for the roof deck. 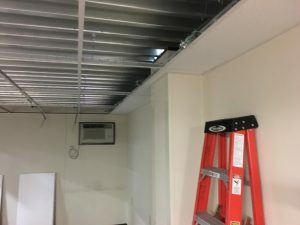 Using a steel beam in the ceiling plenum, and some heavier gage reinforced wiring chases underneath, we were able to also provide the customer with a 25 PSF “walking load” capacity for their roof deck. For one more special little touch, we were able to provide the customer with some cabinets that would fit above their windows to store their notebooks and such. 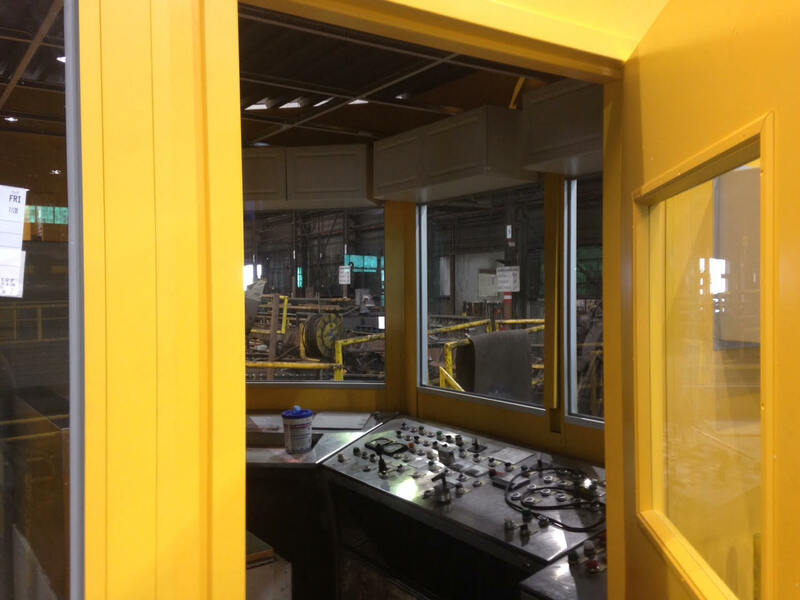 The bright safety yellow control room really stands out. 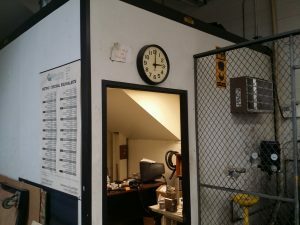 Their existing control room was torn down on Saturday, and the new modular building was put up on Sunday, ready for their electricians to wire in the control panels. The customer was really pleased with how quickly the transition went. This entry was posted in acoustic control, modular enclosures on September 29, 2015 by Derick. When starting out on a project, it’s important to pick the right material. Painted mild steel rusts when used outdoors. Wood products swell when soaked. Stainless steel is expensive. You need to compare the properties of the material against the environment in which it will be utilized. 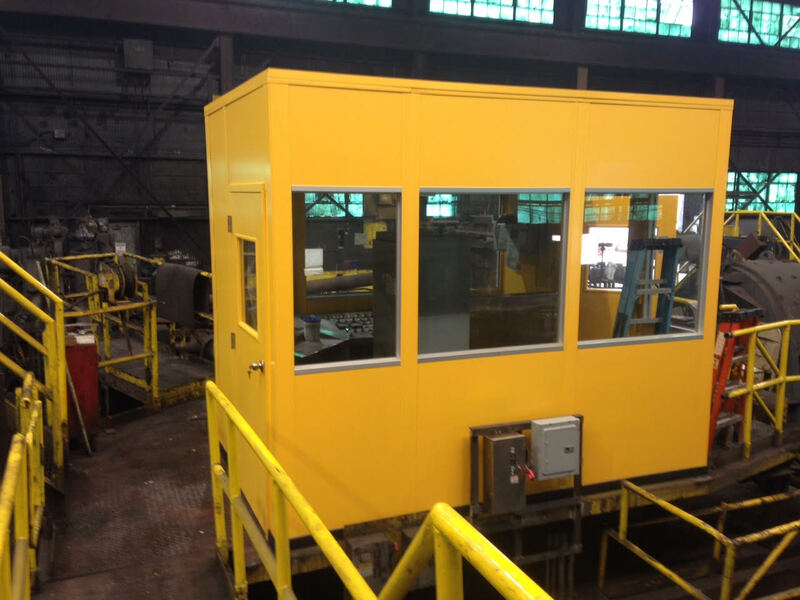 Modular wall systems are a versatile piece of equipment used in a number of different environments and applications. 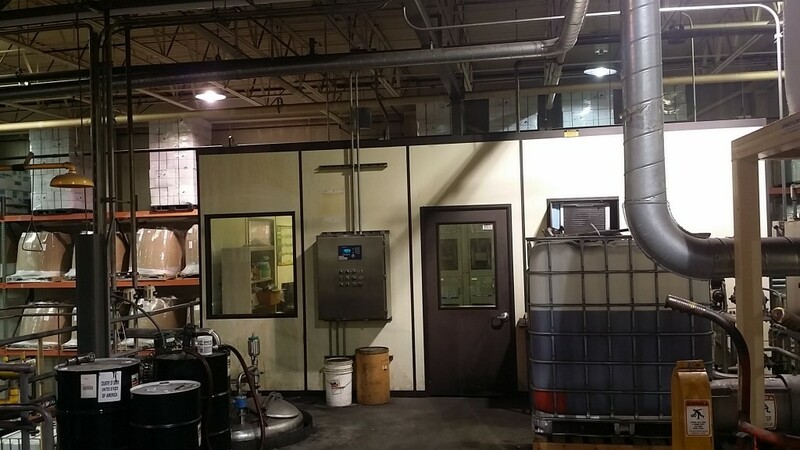 Because of this, we offer a number of different types of finishes on the panels so that we can meet the different requirements of the project. The vast majority of the modular buildings we provide feature a vinyl finish to the panels. 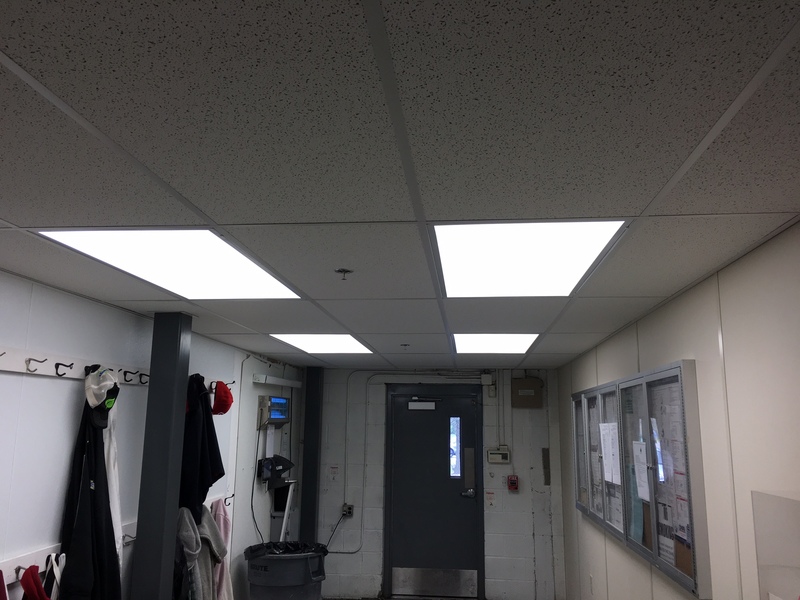 It serves as our best, and most cost effective, general all-purpose finish, offering you a clean finish to the panel so that you don’t need to paint the walls in the field. Being covered in vinyl also allows you to clean them with a damp sponge if the walls get dirty. 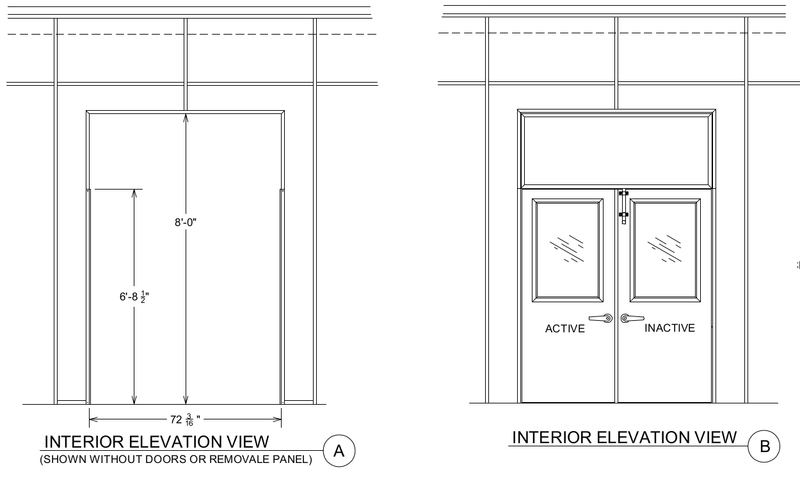 One common application where we would use vinyl clad panels would be in an office space. 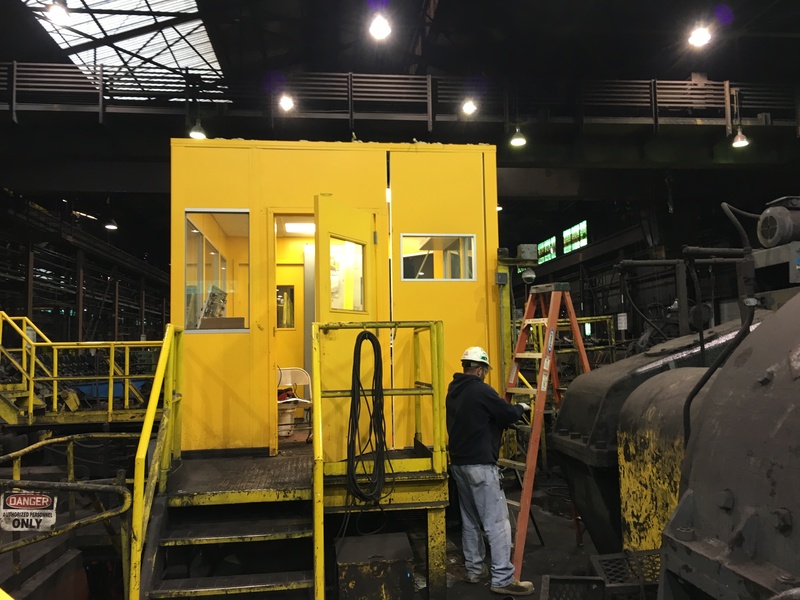 Another common option that we offer is to finish the panels with painted steel sheets, which can be applied to the inside of the panel, the outside of the panel, or both. Most commonly this is used in equipment enclosures where we are concerned that something might pierce the walls. The steel sheet acts as a layer of armor helping to prevent shrapnel from puncturing the system. The steel sheets also offer an additional benefit important in many equipment enclosures. 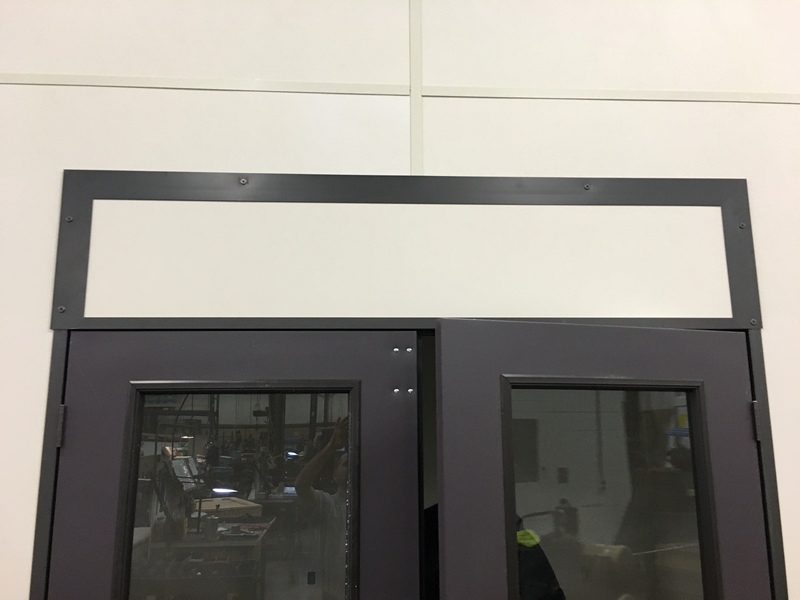 Our typical wall panels consisting of two sheets of ½” gypsum board separated by polystyrene studs generally offer an STC of 32. The additional mass of the steel helps minimize the ability of sound to be transmitted through the walls. 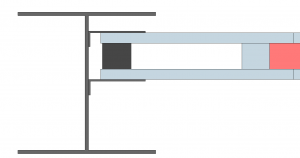 For each side of the wall that is clad in steel the STC rating increases roughly by one. The third most common finish that we offer is fiberglass reinforced plastic (or FRP). 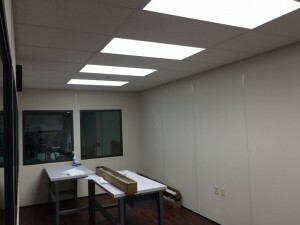 FRP is our most durable modular wall panel finish. It holds up exceptionally well to various scrapes and abrasions, and the FRP is a more water resistant finish as well. One of the most common applications where we’ll use an FRP wall panel finish would be for bathroom walls. 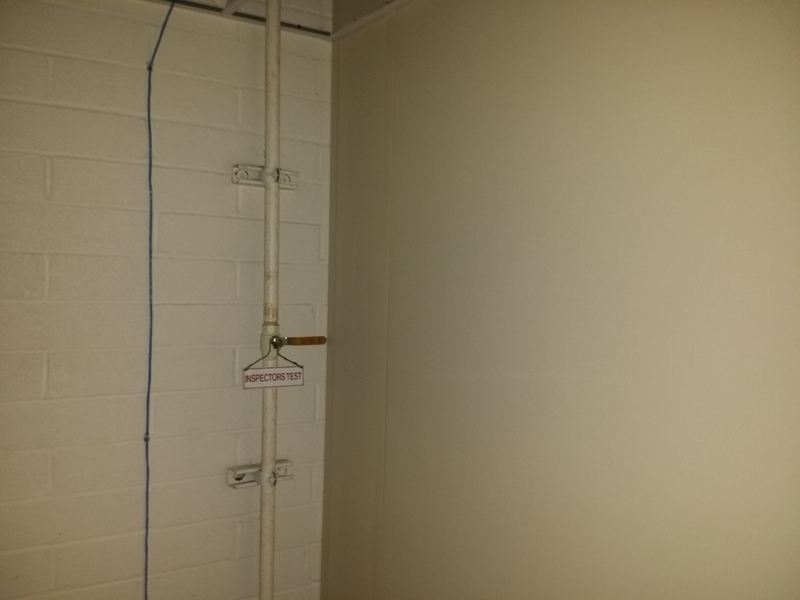 This entry was posted in acoustic control, clean rooms, modular enclosures on August 11, 2015 by Derick.